ESPN has added another former NFL star to its roster as the start of the 2018-’19 season nears. Victor Cruz has joined the network’s talent lineup. A former wide receiver with the New York Giants, Cruz also has a Super Bowl title to his name and a spot in the 2012 NFL Pro Bowl. The announcement of Cruz’s addition to ESPN’s talent roster came today as he announced that after seven years in the league, he had decided to retire from the game. That announcement of his retirement came on Uninterrupted. Cruz said in a prepared statement that he was looking forward to joining ESPN’s ranks. Seth Markman, ESPN’s Senior Coordinating Producer of NFL studio programming, said he was looking forward to Cruz joining the network, too. Cruz joined the Giants in 2010 as an undrafted free agent from UMass. In only his second season (2011-’12 season), Cruz recorded his first 1,000 yard season and even recorded one touchdown in the Giants’ 21-17 win over the Patriots in Super Bowl XLVI (46). From there to the end of his time with the Giants (2016), Cruz totaled 303 catches for 4,549 receiving yards and 25 touchdowns, including an NFL record-tying 99-yard reception in December 2011. Cruz has appeared on ESPN before, so he is no stranger to the network. He has presented at the ESPYS, attended ESPN’s Winter X Games and was even part of an ESPN This Is SportsCenter spot in 2014. Most recently, he served as a guest analyst on ESPN’s NFL Live this past January. Cruz already co-hosts The Victor Cruz Show with Paul Rivera on Uninterrupted. The program is a “barbershop talk” style program that focuses on discussions on sports, music and fashion. He is also one of the first athletes to develop his own content for an all-digital sports programming network founded by NBA star LeBron James and businessman/media personality Maverick Carter. ESPN is making even more moves in its on-air ranks as the 2016 – 2017 NFL season nears. It was announced this week that NFL Nation’s Giants reporter Dan Graziano has now been named a National NFL Insider for ESPN. This means that he will have more on-air presence including appearances on NFL Insiders, NFL Live, SportsCenter, ESPN Radio, ESPN.com, and ESPN The Magazine. Graziano’s first official day in the position was this past Friday, July 22nd when he broke the story about Steelers’ star running back Le’Veon Bell’s upcoming four-game suspension. The punishment was put in place in reaction to Bell violating the leagues drug policy. Chad Millman, Vice President and Editorial Director of Domestic Digital content noted Graziano’s contributions to ESPN in discussing his new move. “Dan has been a strong reporter for us on so many platforms over the course of five years,” Millman said. “He consistently breaks stories on a national level and has an understanding of what’s happening across the entire league. This new role benefits our NFL team and, most importantly, our readers and viewers.” When he originally started out at ESPN in 2011, he served as an NFL East blogger. In 2013 he turned his focus specifically to the New York Giants as ESPN’s NFL Nation Network grew. He has also served as a contributor to ESPN’s NFL Insiders since its inception in 2013. The start of the 2016 NFL season is still many months away. But, as always, it’s never too early to talk football, right? Right. With that in mind, the NFL will announce its full 2016 season schedule tonight. And ESPN, the worldwide leader in sports, will have full coverage of the announcement. The National Football League will announce its full 2016 season schedule tonight. And ESPN will have full coverage of tonight’s announcement on a special extended edition of SportsCenter. Tonight’s two-hour edition of SportsCenter begins at 8pm ET on ESPN and will have full coverage of the league’s announcement of each team’s season schedule. The first hour of the special broadcast will air on ESPN. The second hour (9pm ET – 10pm ET) will air on ESPN2. Football fans that won’t be near a TV during tonight’s broadcast can still see the whole thing live online via WatchESPN. NFL Live’s Trey Wingo will anchor tonight’s special edition of SportsCenter. He will be joined by analysts Herm Edwards, Ryan Clark, and Brian Dawkins. There will also be a handful of NFL coaches and players on tonight’s broadcast, which will break down each team’s schedule, ESPN’s own Monday Night Football schedule, and other primetime games. ESPN.com’s NFL Nation writers will also offer in-depth analysis of each team’s schedule and other key matchups throughout the season. To keep up with the latest sports and entertainment news and reviews , go online to http://www.facebook.com/philspicks and “Like” it. Fans can always keep up with the latest sports and entertainment news and reviews in the Phil’s Picks blog at https://philspicks.wordpress.com. The start of the 2015 – 2016 NFL season is still six weeks away (not counting the pre-season, which kicks off August 9th with the Hall of Fame Game). That aside, any NFL fan will agree that it is never too early to talk football, especially as pre-season camps have officially gotten underway. And thanks to ESPN, football fans are now getting in-depth coverage of every team’s training camp. ESPN kicked off its NFL training camp coverage Saturday, July 25th and Sunday, July 26th with reporter Ben Goessling and Jeremy Fowler. Goessling was imbedded in Mankato, Minnesota with the Minnesota Vikings. Fowler was imbedded with the Pittsburgh Steelers in Latrobe, Pennsylvania. Trey Wingo and company take over coverage of the Steelers’ training camp Monday, July 27th on ESPN’s NFL Live. Wingo will be joined by former Steeler and member of the 2015 NFL Hall of Fame class Jerome Bettis, Ryan Clark, and Merril Hoge. Reporter Josina Anderson will also be on hand for additional commentary and news. Also on Monday, reporter Mike DiRocco will have all of the latest from the Jacksonville Jaguars’ training camp. Continuing its full, in-depth coverage from around the leage, SportsCenter will have three of its anchors–Jay Harris, Lindsay Czarniak, and Matt Barrie–on the road on site for even more coverage. Harris will report from the Broncos’ training camp on Friday, July 31st, while Czarniak and Barrie will report from the Bucaneers’ and Texans/Redskins joint camps on August 7th and 8th respectively. 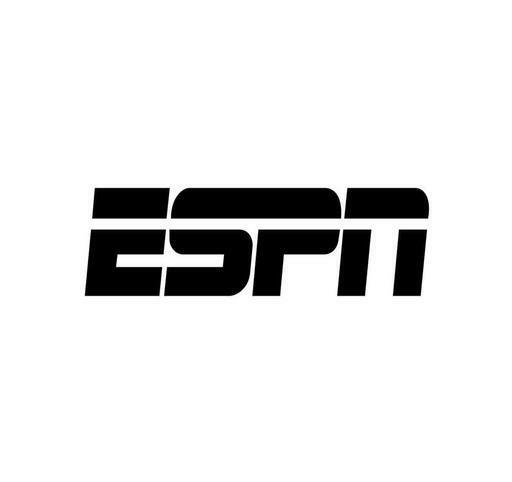 In all, ESPN’s flagship program will have coverage from thirty of the league’s thirty-two total camps throughout the month of August. Additional coverage of each camp wil come from ESPN’s bureau reporters, from ESPN.com, and from NFL Nation team reporters. Those reporters will offer on-site reports and daily look-ahead stories giving insight into what fans should look for at each team’s camp. The current schedule for ESPN’s NFL training camp broadcasts is noted below. The clock is ticking. And very soon, NFL teams and fans around the country will get their first glimpse at what their favorite team may look like come Septmber when ESPN and the NFL broadcast the annual NFL Draft. The NFL Draft will air April 30th – May 2nd on ESPN live from the Auditorium Theater of Roosevelt University in Chicago, Illinois. in primetime with limited commercial interruption. While it is not known who will go to which team later this month, it is now known who will be handling hosting duties for this year’s draft. Chris Berman will host Round 1, marking his 35th year covering the annual selection show. He will be joined by Mel Kiper, Jr., who will be making his 32nd appearance at the draft. ESPN Monday Night Football analyst and Super Bowl champion coach Jon Gruden, Super Bowl champion and ESPN analyst Ray Lewis, and NFL Insiders Chris Mortensen and Adam Schefter. Mortensen and Schefter will join Berman, Gruden, Lewis and Kiper at a second desk insie the theatre. Reporter Suzy Kolber will have interviews on the gold carpet and in the green room. Rounds two and three of this year’s NFL Draft will be hosted by Trey Wingo. He will be joined by Super Bowl Champion quarterback Trent Dilfer and NFL Draft analysts Mel Kiper, Jr. and Todd McShay. Chris Mortensen, Adam Schefter, and Suzy Kolber will each contribute to the broadcast of Round two and three as well. Trey Wingo will return on Saturday, May 2nd to host Rounds Four through Seven of this year’s NFL Draft. He will be joined once again by Mel Kiper, Jr., and Todd McShay. Six-time NFL Executive of the year and NFL Hall of Fame inductee Bill Polian will also contribut to Saturday’s broadcast along with Chris Mortensen and Adam Schefter. ESPN will offer additional coverage of the 2015 NFL Draft across multiple platforms and editions of NFL Insiders, NFL Live, and SportsCenter. Each program will broadcast from Chicago beginning April 30th. The full broadcast schedule for the 2015 NFL Draft is noted below. All times are EST. To keep up with the latest sports ad entertainment news and reviews, go online to http://www.facebook.com/philspicks and “Like” it. Fans can always keep up with the latest sports and entertainnment news and reviews in the Phil’s Picks blog at https://philspicks.wordpress.com. College football season is mere weeks away. And in celebration, ESPN’s College Football Live returns next Monday, July 14th with all of the latest college football news and headlines. Chris Cotter will host. He will be joined by a rotating group of analysts that includes: Joey Galloway, Brian Griese, Desmond Howard, Danny Kanell, Trevor Matich, and Robert Smith in a half-hour round table setting. Once football season is officially under way, College Football Live will broadcast live each Friday from the site of ESPN’s College GameDay Built by the Home Depot. And beginning next Monday, July 14th, football fans will get two and a half hours of football programming each day on ESPN Monday – Friday. That programming will come courtesy of College Football Live, NFL Insiders and NFL Live. The full schedule is listed below. More information on ESPN’s football programming is available online at http://espn.go.com/college-football, http://espn.go.com/nfl, http://www.facebook.com/NFLonESPN, and http://www.facebook.com/CFBonESPN. To keep up with the latest sports and entertainment news and reviews, go online to http://www.facebook.com/philspicks and “Like” it. Fans can always keep up with the latest sports and entertainment news and reviews in the Phil’s Picks blog at https://philspicks.wordpress.com.